Jim Watson, Bill Hicks, Mike Craver, and Tommy Thompson BUY THE MUSIC! 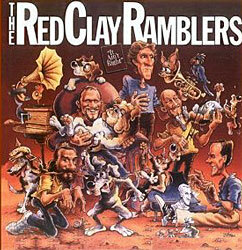 Folkways 31039 (1974) The very first Red Clay Ramblers LP! 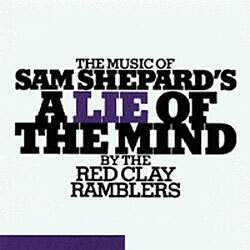 Two Red Clay Ramblers recordings on one CD! 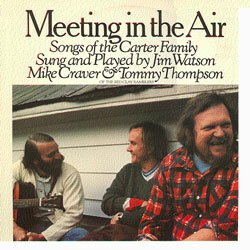 Flying Fish FF-219 (1980) Songs of the Carter Family CD Version is here! Kildare's Fancy/Ships Are Sailing/High Yellow (not on CD version), Daniel Prayed, Forked Deer, Henhouse Blues, Sweet and Slow Merchants Lunch EXTRAS page! 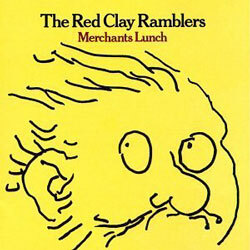 Note: "Kildare's Fancy" and "High Yellow" from the LP version of Merchants Lunch open and close early editions of Roy Underhill's The Woodwright's Shop televised on PBS stations. 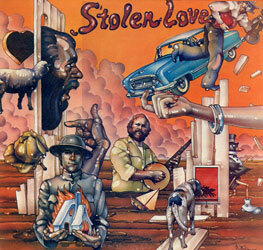 Barker Records 2012 (2012) The long-awaited first official recording from Mike Craver, Bill Hicks, Jim Watson, and Joe Newberry. 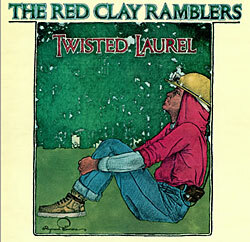 The Ramblers played on "Medley in C" an 11-minute medley comprising Always on My Mind, Whiter Shade of Pale, San Francisco Nights, Ain’t Misbehavin’, Imagine, TV Party, Misty, Dang Me, England Swings, I Started a Joke, To Sir With Love, Some Guys Have all the Luck, Waltz Across Texas, The Shah Sleeps in Lee Harvey’s Grave. RCR was also a part of Wild Angels, W. Va Spec, and Universal Soldier. (10 more songs) Some of the medley is also available on Chadbourne Barber Shop. 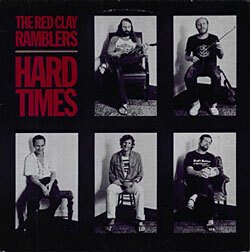 Jim writes of the Country Protest Recording: "We met Eugene Chadbourne when he married a friend of ours. Eugene and Emmy married in NYC and we played at the reception. So we had known him for a while before we recorded with him. 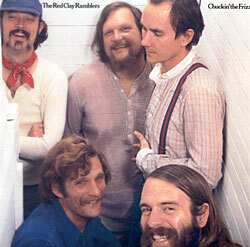 He used to play semi-regularly in Chapel Hill at the Cat's Cradle/Rhythm Alley and the Station in Carrboro. We recorded the long medley (all songs in C) and an instrumental (the West Va. Spec.) at Steve Gronbeck's TGS studio outside of Chapel Hill. Mike's knowledge of rock 'n' roll came in handy with the medley. There was some uncertainty about how the instrumental was going to end, which is out there for all to hear, but Eugene thought it was great so that's how it stayed on the album. He is one of the more unusual performers that one will run across. I'm not sure I understand all that he does, but there is no doubt that he is really talented and certainly entertaining." The Beautiful The Bibulous Babylon, The Ballad of Frederick Fosdick, The Mortician from Morden Manitoba, The Ballad of Deadwood Dan, Summerville Colorado, There's a Hole in Your Tights, Oh What a Golden Dream, What Ladies Love, The Night I Met Miss B., The Dame of Camellias, The Girl in the Gem Saloon, Ode to Mysterious Dave Mather, When It's Rhubarb Time in Orangeville, The Ghost in the Theatre, Stuffed People, Railroading on the Great I. C., Yesteryear. Barker 1225 (2012) Jim's 26th annual Christmas at the Cave show now on CD! 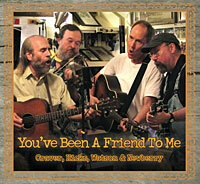 Mike Craver has several theater projects on CD. Please visit Mike's site and store for more info and purchasing. 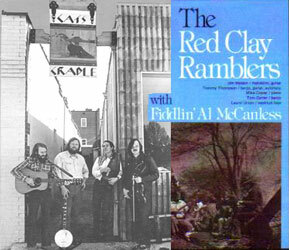 Titles in print can be found at www.redclayramblers.com.